Where some may only see trash, Reshtki sees opportunity. Founded by Sara Podwysocka and Maria Ostrowska, the Polish design studio specializes in breathing new life into found materials. In their latest project, Reshtki old traction poles, leftover wood, and PCV pipe into new benches and tables. The comfortable and stylish urban furniture was created for a neighborhood park in Gdańsk. Reshtki was founded by Sara Podwysocka and Maria Ostrowska. The Polish design studio specializes in breathing new life into found materials. In their latest project, Reshtki old traction poles, leftover wood, and PCV pipe into new benches and tables. 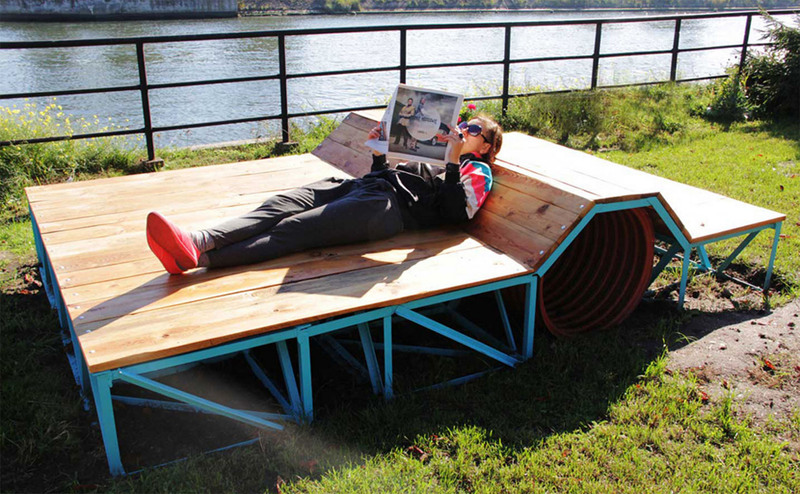 The comfortable and stylish urban furniture was created for a neighborhood park in Gdańsk.